Boonlert Hemvijitraphan, an architect born and educated in Thailand for his first professional degree, Hemvijitraphan went on to study at the Bartlett School, University College London and started his own practice in 1993. Over the past fifteen years, through the ups and downs of Thai economic climate, Boonlert Hemvijitraphan has proved that his quiet architecture has never been silent. They say something fundamental to the place and time. Hemvijitraphan’s designs, do not demonstrate the same desire to either return to the traditional or recreate the modern vernacular. With pure forms and seemingly ultra modern motifs, he does not seem to have longed for pure manifestations of Thai spirit untainted by contemporary culture and prosaic affairs. Instead, he focused on settings that are more or less prosaic and unobtrusively interwoven into everyday praxis. When he referred to the Thais, it is neither the idealistic traditions nor the celebrated voice of vernacular culture. He included them, but not especially reverently, thus never resulted in designs that are easily identifiable as Thai. 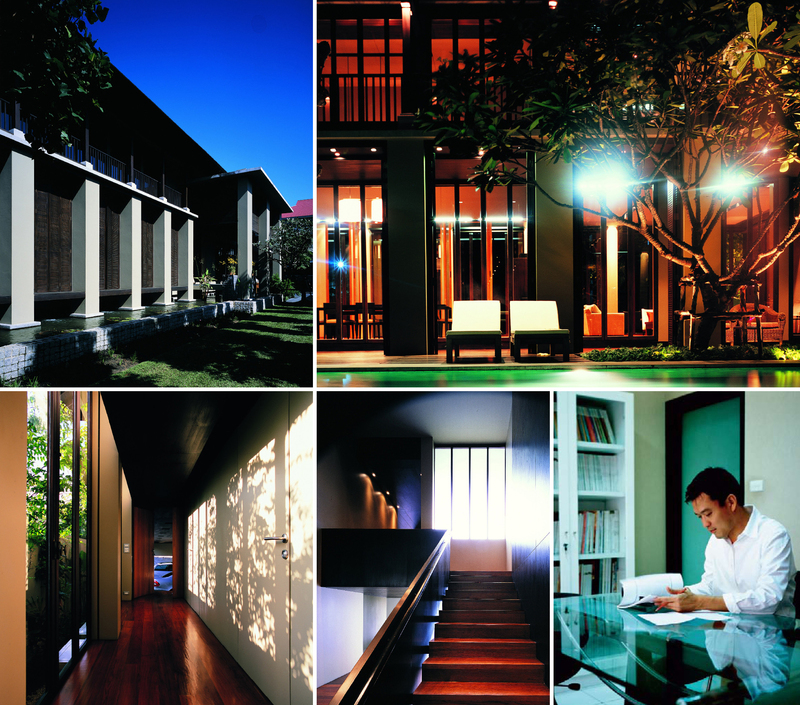 Hemvijitraphan’s opus of domestic architecture has grown throughout the years, offering alternative solutions to new requirements. In terms of spatial configurations, although all of the designs are unique, they explore similar questions of how to accommodate the changing lifestyles while stay firmly rooted in local domestic culture. Although single family dwellings have dramatically increased, Thais still value the tradition of extended family where at least three generations live together. Thai house compound has always been a community. Thus the question today is: how do we maintain a sense of privacy of individual living, while benefiting from the comforts that a larger familial community offers. In other words, can we live in a house that is both a single family dwelling and an extended family compound? Only sensitive design solutions can do so. And Hemvijitraphan’s designs have always tried to do just that. On the one hand, they offer unique spatial configurations that answer to both particular requirements of each family; on the other hand they always refer to common social and cultural implications that preoccupied Thai domestic architecture for the past fifty years. Apart from aiming to redefine the typological configuration to accommodate contemporary requirements, Hemvijitraphan’s architecture also tries to befit local climate and topography. Never self-contained and fully enclosed, all of his houses offer unique enclosure articulation and meticulous details. The façades of Hemvijitraphan’s houses are always presented with articulated skins that do not just cover but also operate. 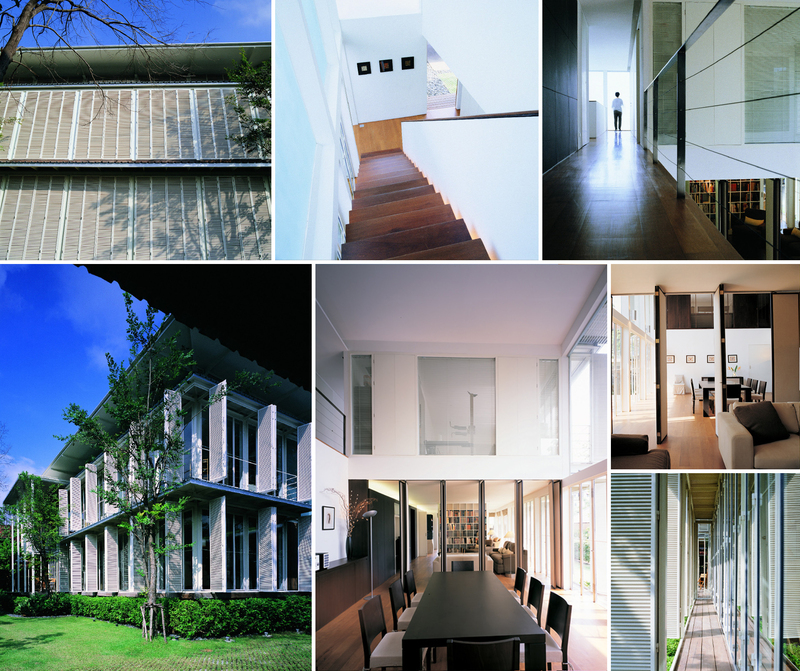 Folded metallic or wooden screens envelope rectangular concrete structures, creating sharp lines and edges, many of his houses are enclosed by walls of apertures that allow us to a glimpse of their interiors through occasional flips and folds of the skin at various locations. The skins are far from ornamental for they operate within functional, formal as well as spatial framework of the building. They are the type of cladding that deviates from the usual definition of architectural wall, neither dependent nor independent of the body. They simply let the house breathe, cast the shadow, let the light in. Flexibility and adjustability are unique to Hemvijitraphan’s enclosure design for they allow the dwellers to go from being snuggly enclosed and protected to become fully open and free. Different layers of materials also act as insulator against heat transfer, keeping the interior cool. Where and when diverse materials do meet, they converge with crafty and innovative details, creating the language that becomes an important part of the building’s identity. 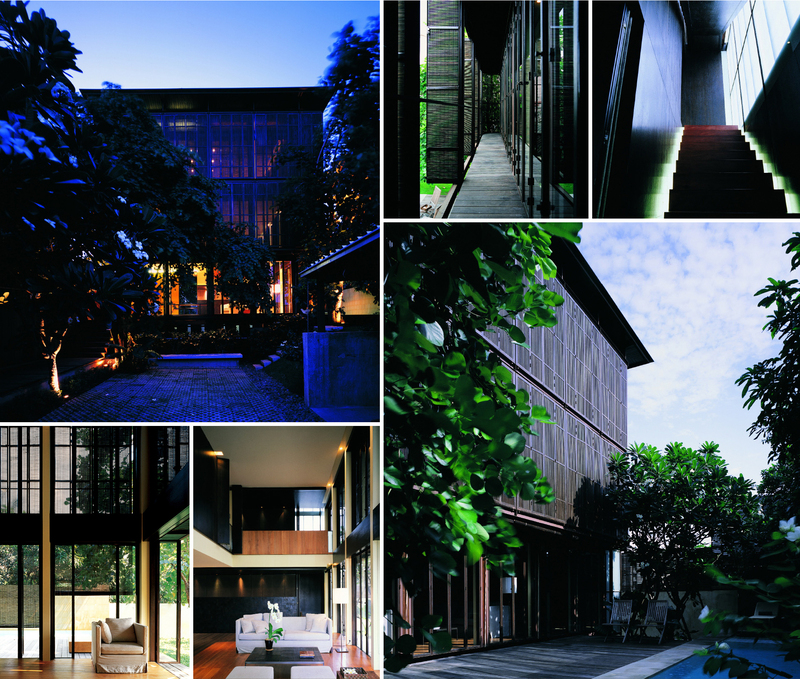 The architecture of contemporary living Hemvijitraphan presented as essential Thai is not necessarily of native origin. While the spatial organizations answer to particular requirements, the meticulous details are born out of both contemporary materials and techniques. Each of these characteristics has a positive side. An architecture that seeks to be local, but arises out of diverse intelligences, becomes architecture that is not styled in the manner of traditional motifs but may be maintained by contemporary possibilities. At any rate, Hemvijitraphan’s architecture offer a tradition that does not represent a dead faith in what is now past, but is one that continue a living, reanimated faith in what has been shown to be still relevant today.